Live like a local with a screened host family and receive free room and board. 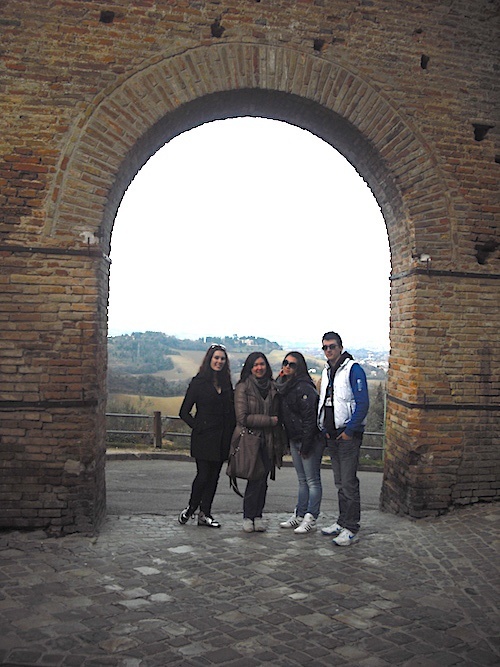 Teach English abroad in Italy and live like a local for up to 3 months when you help a family in Italy learn English. Don’t worry if you’ve never done this before! Your new host family is more interested in learning conversational English than they are grammar. You will have so much fun living in Italy by simply speaking English the way you normally do at home. Also, you also have a unique opportunity to learn or improve your Italian! In a matter of hours, you are walking around your new community like a real Italian citizen. It won’t take long for the locals to start recognizing you and for you to consider your host community your new, temporary home. It’s real and authentic. Get to know the locals. Wake up each day and feel a connection. When you go to teach abroad in Italy, you quickly make a positive difference in your host community and host family. With the GeoVisions mobile app, you’ll be able to grab worksheets, games, and ideas for your lessons. You can also chat with other GeoVisions participants and during your free time meet up, if that’s something you’d like to do. 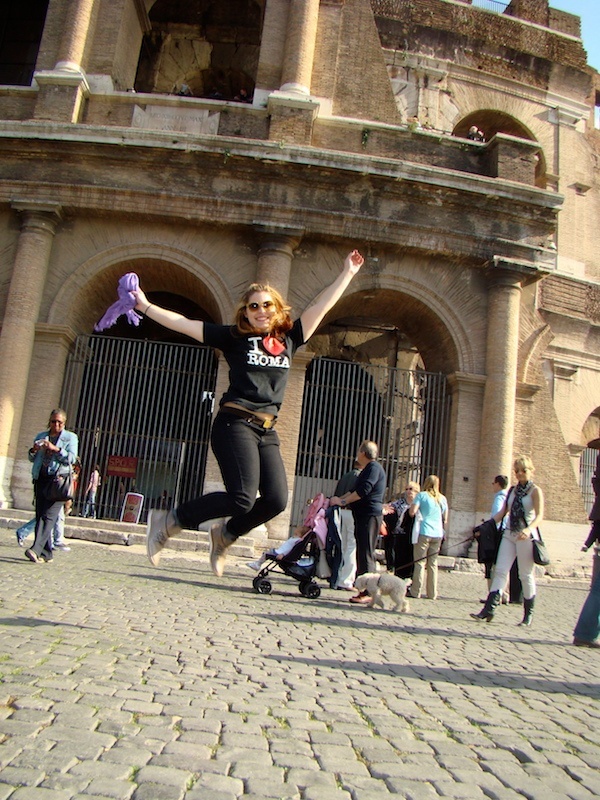 The minimum duration to tutor English in Italy is 1 Month. You can stay for as long as 3 months. You will enter Italy on a tourist visa. There will be no charge for any visa. Flexible. Actual arrival date is coordinated between you and your host family. Positions available year round. We do not have set departure dates for this program. At a minimum, be 18 years of age. We also place a lot of mature travelers looking for a different way to travel and connect with new people and explore different cultures. If you're over 35, however, you need to give us extra time to find a placement. Plan on 90-120 days minimum for a successful placement if you're over 35. Hold a passport from the USA, UK, Ireland, Canada, New Zealand or Australia. Speak conversational English up to 15 hours each week the way you normally would. Schedule a few times each week for a few classes with your host family. The three videos that follow include two videos from tutors in Italy that they filmed while they were there and a longer video GeoVisions commissioned to have done about the tutor in Italy program. Enjoy! The fee you pay to tutor in Italy goes to our 501(c)(3) non-profit public charity, The GeoVisions Foundation. Be sure to speak to your tax preparer to see if any of these fees can be deducted as a charitable donation. This is a volunteer program, and as such, you will need to factor in not only the program fee above but your airfare and if you live outside the US, your insurance. It is hard to calculate your spending money requirements, so think about any additional meals and travel during your time in Italy. Personalized placement with a screened host family. In other words, a place to call home in Italy. Our unique matching system ensures a great fit. A comfortable private bedroom for the duration of the program. Home-cooked meals each day except when you’re traveling. Local office support in Italy. Comprehensive medical insurance if you’re from the US. Our own mobile app for pre-departure information, teaching ideas, teaching worksheets and the ability to chat with other GeoVisions participants. Private Language Tutor experience to enhance your resume. Full immersion Italian language through your host family. Meals when you travel or go out on your own. Spending money for personal expenses, when you travel or optional activities. How does GeoVisions choose families in Italy? Host families contact us because they want to provide room and board to a native English speaker who will help them with their conversational English. When there are children in the family, mostly they need help with their English homework, but many times the adults want to join in as well. Families are screened. They have to show a need and a desire to host an English tutor. And they have to pass a background check, an interview by staff in Italy and agree to a home inspection and provide photos of the home (inside and out). Tutors are promised their own private room but there are times a bathroom might be shared. Families provide meals except when the tutor is traveling. Does GeoVisions provide materials to help me be successful? How am I supported? Not only do we provide our own book, A Tutor’s Guide–Teaching English to Families and Children (this is included in our mobile app), you receive FREE teaching materials through our mobile app. We employ a full time ESL Teacher, right here on staff. Betsy is here for you before you depart and while you’re abroad. Email Help Me Teach (or chat with Betsy with our mobile app). She will answer your questions and provide detailed and personalized ideas to help you be successful. What if I don’t like my placement when I arrive or I have host family issues? Can I move? Before you depart, we connect you via email, phone and Skype with your new host family. You’ll have all the details you want before you ever leave home. GeoVisions spends a great deal of time on match-making. There needs to be a “connection” between you and your host family. After you arrive if you begin having issues with your host family, we have a way to start the process to fix things or, change your placement, if necessary. This is extremely rare, but we’ve done this long enough to know things can come up on all sides. Can I be placed with someone? I’d like to travel with a friend. Unfortunately, host families needing a tutor generally have the room for one extra person in the home. So we are unable to provide a homestay for anyone except the tutor. If you want to apply with someone else, they would be placed with another family. We would try hard to find a host family so you would be close to one another, but we could not guarantee that. If you’re set on traveling with someone, take a look at our other program types, because we do have those kinds of placements. Give us a call and ask. As you view more photos and video, consider the program benefits. 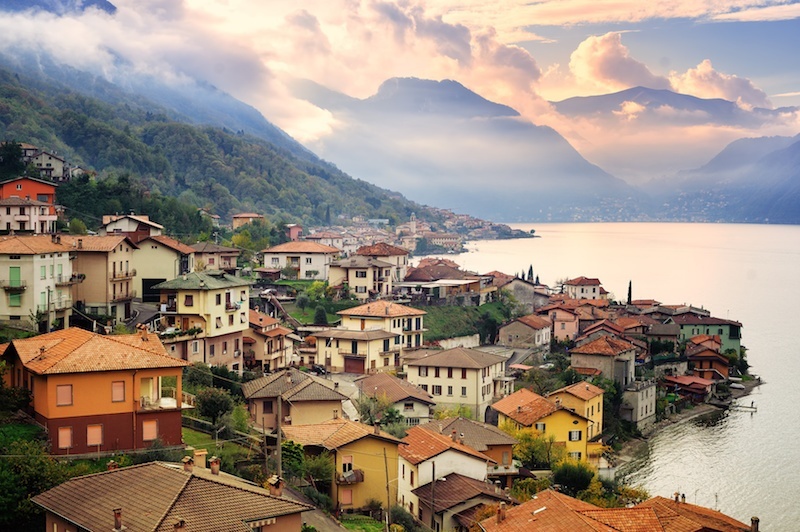 A second home with new friends, becoming more independent and confident, improving your Italian since you're now living like a local and helping your host family realize their goals of speaking English. Add an international reference to your resume which helps with future job applications because of your experience tutoring English to a family in Italy and you're ahead of the game. Make new friends when you're in Italy. Sometimes you just can't believe you're living the Italian life each day. A host family in Italy and a GeoVisions tutor. 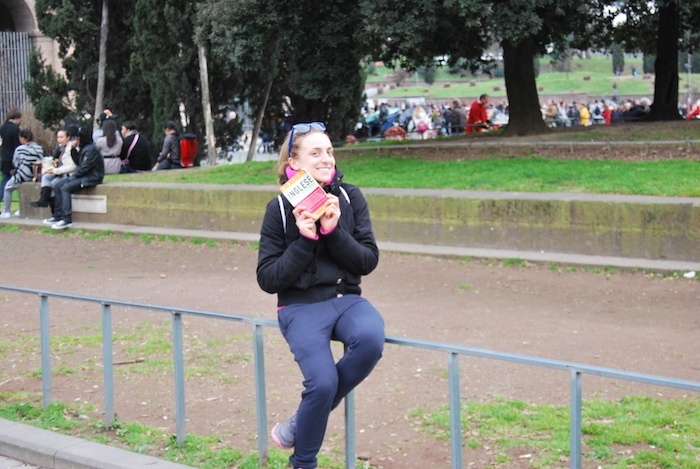 A tutor in Italy on her day off. Using the mobile app, you can meet up with other tutors. With weekends free, you can travel to many areas in Italy. I couldn't have asked for better! They were really understanding with my travel arrangements because I got sick before getting to Italy. They were friendly and accommodating , they really made me feel like one of the family. Can't wait to hang out with them again, either in Italy or Australia. Definitely recommend the whole experience, except it is harder for Australians then USA with organizing details due to time difference. I'm an older participant and was worried that GeoVisions was too geared for the younger crowd. I was pleasantly surprised at how eager Marybeth was to have me in the program and she placed me in Northern Italy, with a great family. They offered to include me on a lot of things they did, but I also wanted my own time to explore Italy and be on my own.If you're older and you want to do this program, GeoVisions will take you. Just make sure you're upfront with your host family in the beginning that while you want to be there with them, you might take off for a few weekends and go off on your own. It also provides some needed space between you and the family.The kids I tutored thought of me as their Grandpa, and that was fine with me. I always felt included and I highly recommend the experience for an older crowd, not just a younger one. Since I have done a month abroad in the past, I am very aware that the experience can be wonderful or disastrous. In this situation, it has been absolutely wonderful. From the moment of my arrival, my host has done everything possible to make me feel at home. She is very competent in all matters of housekeeping, cooking, cleaning, laundry, etc. therefore, I always felt very comfortable and cared for. She has been very willing to share her culture with me and made my stay here very interesting. She is also a very good student. I feel that we have accomplished a lot in my time here.Also, my host is a very caring and loving person. She has always taken into consideration the fact that I am old enough to be her mother, and has been very patient with my health issues. I can't say enough good about her. GeoVisions did such an excellent job of matching me with her. I will always be grateful for the opportunity to get to know her and her father, and I wish for many wonderful and amazing things to come her way as a result of her desire and effort to learn English.